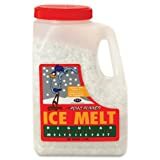 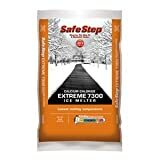 Melt-a-Way is 100% Potassium Chloride and it will melt snow and ice at 15 degrees. 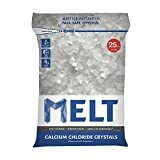 Potassium Chloride is very similar to potash, which is a fertilizer ingredient. 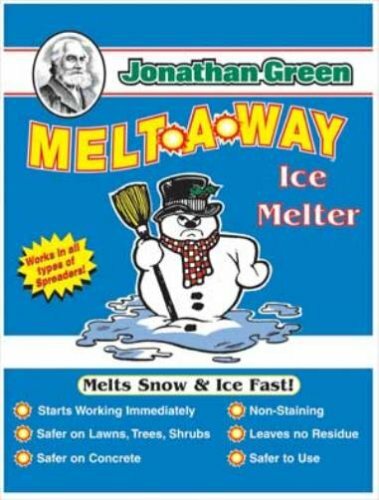 Melt-a-Way works fast but it is gentle on lawns shrubs and concrete it will not track inside, stain carpets or damage leather shoes.